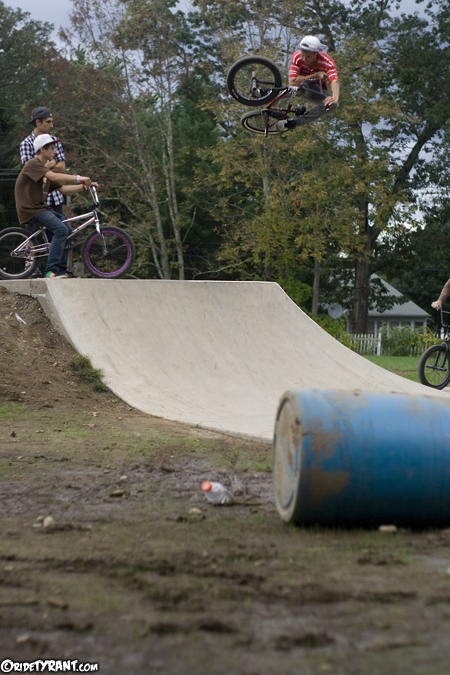 3 car loads of riders met at my place today and we rolled out to the Norwich Skatepark. Super fun session at the park with everyone feeding off one another and getting rad. We hit up Baltic next mid-afternoon and the place was a zoo. In between dodging scooters rats a few people were able to throw down some original lines. 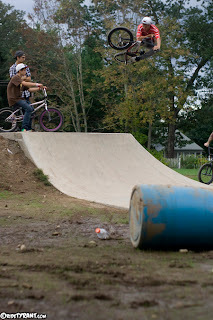 We finished up the day riding the Plainfield Skatepark. To our surprise a few car loads of the Haven locals showed up to ride as well as Brett and Shamus from Mass. After a solid park session we got in a little street time around the area and called it a night. Thanks for everyone that came out. Days like yesterday are the reason I'm 31 and still riding a little kids bike. No injuries, no sh1t talking, no 1-upping....just friends having fun riding bikes. That's what BMX is all about!! !